Nostalgia is a subtle nihilism. It denies the possibility that anything will ever be better than it was in the past and robs us of the ability to see what's in front of us because we're always comparing what is with what we remember. This season, there's no way for the Memphis Grizzlies to avoid that trap. With Zach Randolph and Tony Allen gone and suiting up for other teams, you can't deny that an era has ended and a new one has begun. The "Core Four" era has been, without question, the most successful in the history of the franchise — and the period in which the team's fanbase finally blossomed into something bigger than a bunch of die-hards hoping the next Three Year Plan will finally be the one that works. The things that happened between the 2010-11 and 2016-17 seasons will not soon be forgotten. The catch, of course, is that all eras end. Players age out of their primes, injuries derail plans, wild swings of fate move the ground out from under even the best-laid foundations. 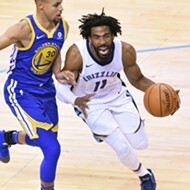 It was inevitable that eventually the most successful group of players in the team's history would no longer be together in Beale Street Blue and that there'd be a season in which the Grizzlies first had to face that reality and build something for the future. 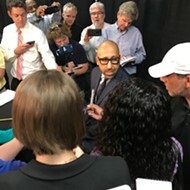 The Core Four is gone, and the Grizzlies — still helmed by Mike Conley and Marc Gasol and in the second year of head coach David Fizdale's tenure — have to figure out what to do next. But regardless of what happens, will it hold up when compared to the glory days that just passed? 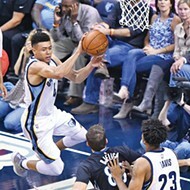 Will the Grizzlies be able to succeed or fail on their own terms this season, or will they be judged harshly when they fall short of fan expectations because they can't replicate the glory of the Grit & Grind Days? That's the question that will be answered over the next 82 games. What will the 2017-18 Grizzlies be, and will that be enough? As the Grizzlies look to reinvent themselves around Conley and Gasol, all eyes will be on the Grizzlies' big $94M free agent signing from last summer, forward Chandler Parsons. After trying to rush back from a knee injury and then failing to ever reach playing shape, to say Parsons' 2016-17 was a disappointment would be like saying the Titanic didn't have a great maiden voyage. The hope is that this year, he'll be able to contribute in some sort of meaningful way. That way didn't make itself apparent during the preseason, and given how much Fizdale has talked about using Parsons as a power forward, it seems like his role this season (at least at first) will be coming off the bench to play that position in smaller, two-point-guard lineups. Obviously, no one thinks that paying $23M per year to the eighth man in the rotation is a successful outcome for Parsons, but at this point, the money is spent, so as long as he can contribute, he'll play. But Fizdale has made clear that one thing won't happen: the mandated 20 minutes of playing time while Parsons tried to rehab last season, which frustrated everyone and accomplished nothing. Parsons was signed to be a playmaker, a scorer with the starting unit that the Grizzlies never had in the Core Four days (apologies to late-period Tayshaun Prince and to the Platonic ideal of whatever people see in Jeff Green). It's clear heading into this season that the 2015 Chandler Parsons is never, ever coming back, so now the challenge is to figure out a way to get something out of him. If he can play above replacement level, I'll call it a "win" (and break out the Wild Turkey when it's time to look at the salary cap numbers). But he won't be the player they signed him to be — not this year, not ever again. Don't let the Parsons debacle cause you to give up hope, though, because there is something positive brewing in the wing positions: a depth that the Grizzlies have not had in recent years. The offseason additions of Tyreke Evans and Ben McLemore helped to shore up a rotation already starting to come into its own with James Ennis' decent season (I won't call it a "breakout," really, but it was solid) and the emergence of Wayne Selden as a potential starter during last season's ill-fated San Antonio playoff series. McLemore won't be ready to play for a while yet — he broke his foot this summer in a pickup game, just part of the Grizzlies' ongoing multi-season injury curse — and I wasn't very excited about his addition on its own, but coupled with Evans, it's a notable upgrade from the days of Tayshaun Prince and Austin Daye (or even Jeff Green and Matt Barnes, or the 2015 "can't run" version of Vince Carter). Add the near-miraculous return of Mario Chalmers to the mix as another point guard, and you have a team poised to play smaller and faster with much greater skill at the positions needed to do so. 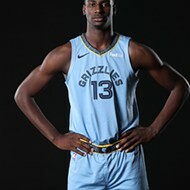 The operating premise here is that even though none of these guys is particularly a star on his own — Evans is probably the closest thing, but he's been too inconsistent and injury-prone to ever earn the title — together, as a unit, they're better top-to-bottom than anything the Grizzlies have been able to put on the court in a while. Since Parsons isn't going to be the small forward of the Grizzlies' dreams, Plan B will have to become Plan A. It's a small victory, then, that there are so many decent-to-good role players ready to step in. 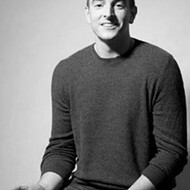 For a team that has been so hard up for offensive production the last few seasons, the sudden presence of several versatile (if imperfect) players on the perimeter will feel like a sudden breath of fresh air, even considering the big piece (that is, Parsons) that will forever be missing. On Monday, the Grizzlies cut their roster down to the 15 required for opening night, saying farewell to 2016 first-round pick Wade Baldwin IV and Serbian forward Rade Zagorac. Baldwin is a high-upside player who doesn't seem to be developing toward that upside, and Zagorac was a young Euro player who didn't seem to be able to make the leap to the faster, more athletic NBA game. 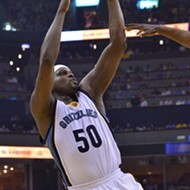 But even though the ranks have thinned, the Grizzlies will still be relying on young guys to step up and produce. Some of these (Andrew Harrison and Wayne Selden, especially) stepped up last year. Others (thinking specifically of Dillon Brooks, who has looked very good in Summer League and in preseason action) are still mostly unknown quantities. 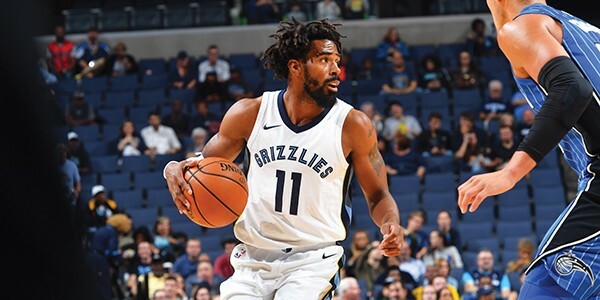 But regardless, if the Grizzlies are going to be any good this year, it will take a burgeoning of player development the likes of which we haven't seen since the days when O.J. Mayo was scoring 30 points a night for Marc Iavaroni. What the Grizzlies are doing, really, is rebuilding in place around Mike Conley and Marc Gasol. The plan was to have a Big Three that included Parsons, but that plan's no longer workable. That means the process of retooling is more important, because the young players have to be able to contribute more than was previously expected but also need to be able to do so on a much shorter timetable. It's not the position the Grizzlies thought they'd be in when they signed Conley and Gasol to 5-year max deals, but they're determined to make the most of it while they can. It's worth considering what the best-case scenario would be for this season's team before talking about what's the most likely outcome. The top tiers of the Western Conference continue to become cartoonishly overpowered. Houston added Chris Paul over the summer. The Oklahoma City Thunder added Paul George and Carmelo Anthony to supplement Russell Westbrook. The Warriors will be the same as they were last year. The Spurs will continue to ride Kawhi Leonard's dominance. And while the top teams will all be the same or better, there's a new crop of younger teams looking to break into the postseason for the first time. Denver will be strong this year. Minnesota added Jimmy Butler to a team that was already brimming with young talent. Both teams look to make the leap this year. Where does that leave the Grizzlies? They won't be in the top tier. They probably won't be in the second tier of teams that could conceivably make it to the NBA Finals if they catch the right breaks or a top team suffers an injury. In this season of transition, they're looking to make the playoffs and develop what they can with an eye toward maximizing the next two years. That's not to say this year is a throwaway — just that it's unreasonable to expect a team with this many question marks (even one that still features Conley and Gasol in their primes) to be much better than a low-end playoff team. 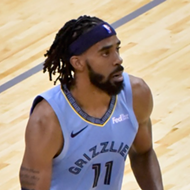 Ultimately, the teams around the Grizzlies have (mostly) gotten better, while the Grizzlies rode the same venerated core for a long time, and now the Grizzlies are reloading while their peers are leveling up. That's not an indictment of the Grizzlies — it seems unlikely that Carmelo Anthony would have come to Memphis, for example — but it does make the failure of the Parsons signing that much more real. The Grizzlies could've had that, too. They tried, and instead they're scrambling to develop a rotation and a style of play. So what's the ceiling for this year's Grizzlies team? How good can they be, given the challenges in front of them? I think an optimistic projection would put them somewhere around 44 wins, which I figure might be good enough to make the eight playoff spot in the West. They're in a group of teams (also including the L.A. Clippers, the Portland Trail Blazers, and the Utah Jazz) that could all finish around the same place, teams with a lot of uncertainties yet to be ironed out that look decent on paper. That's an optimistic projection. One serious injury to Mike Conley or Marc Gasol and things could get away from them in a hurry. They're deep, but that depth is unproven. They're tough, but that tenacity hasn't been tested the way it will be over the course of the upcoming season. They're faster, more athletic, and younger, but that doesn't mean they'll gel out of the gate. A pessimistic projection gets dark in a hurry. With two big-name players on what are likely the biggest contracts they'll ever get, if the Grizzlies think the current configuration isn't going to work, the smartest thing to do may be to trade them for picks and start over. If things are going poorly, you can expect the rumor mill to be churning out reports about Gasol trades left and right, but ultimately I'm not sure the Grizzlies "have" to make that trade the way national conventional wisdom would suggest. It's the downside of being in this position, though. If it's January and the team is significantly below .500 for some reason, you will start hearing these rumors. 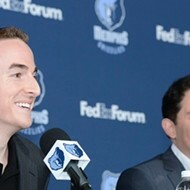 It's just the way the NBA works, for one thing, but also, it wouldn't be the craziest move for the Grizzlies to make. That said, I honestly don't expect things to come to that. The Grizzlies have been pronounced dead several times over the last five seasons, and they've always found a way to over-perform. They're due for a year where that doesn't happen, but until it does, it seems safe to bet on their success, at least "success" on the terms of this season. There's a way forward for the Grizzlies, and they're only now starting to discover it in the young talent on the roster. The process of finding the next great Griz core could be a long one, but they've got no choice but to start that journey. It's tempting to compare this season to the seven before it, the best run of success in the history of the franchise. But to live in that (recent) past is to deny that this season can be a success on its own merits — even if that's admittedly a smaller scale of success than the fanbase is used to. The Grizzlies will not contend for a title this year, but that's not the interesting thing about them. What we should watch for is whether they learn what they're going to be next. If you're not watching for that, if you're living in the past, you'll probably be very disappointed.